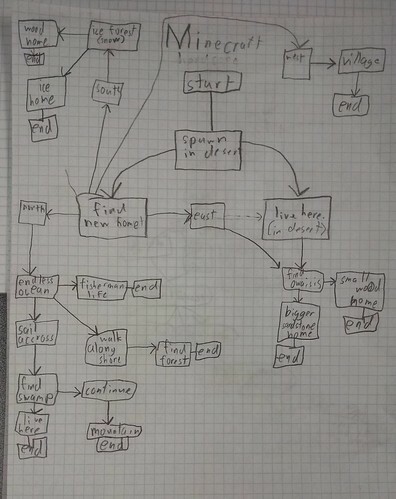 The other day, I wrote about my sixth graders planning out and learning about Interactive Fiction. They are in the midst of creating their own stories, using Google Slides and Hyperlinks as the backbone technology for composition and publishing. A few students are nearing the end of their projects, so I figured I would share out a few for you to play, if you want. So strange to say that — Playing the Story — but I do it all the time with my students in this writing unit, to enforce the mindset of a different kind of narrative writing and reading. It makes the story a game, of sorts, and puts them in a different kind of position as writers of the story. This entry was posted in Interactive Fiction, my classroom, NetNarr. Bookmark the permalink.